Paris: The seizure of a Saudi oil supertanker by Somali pirates may push Western navies to step up their actions against hijackers, military experts said. The North Atlantic Treaty Organization (Nato) is reassessing its operations in the region and may adopt a tougher stance towards the pirates. The navies of India, Russia, Britain and Germany have all battled pirate vessels in the Gulf of Aden in the last 10 days alone. 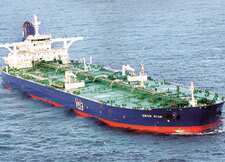 The hijacked tanker, Sirius Star, carrying a crew of 25 and 2 million barrels of crude valued at $110 million (Rs555.5 crore), was seized on 15 November about 420 nautical miles (833km) off Somalia. Saudi Arabia’s state-owned shipping line, Vela International Marine Ltd, is in talks with the pirates on a ransom, foreign minister Prince Saud al-Faisal said on Wednesday in Rome. The pirates are asking for $25 million to free the boat, AFP reported, citing an interview with a pirate. Nato has a four-warship anti-piracy fleet off Somalia. India, Malaysia and Russia have sent warships, and a European Union fleet is expected to reach the zone next month. The US coalition in Afghanistan has a task force in the area. In total, there are about 15 warships off the Somali coast, said Christophe Prazuck, a spokesman for the French military. In the US, the Pentagon has urged shipping companies to step up their own security provisions. “It’s incumbent upon the companies to look more and more at what they can do to try to prevent these incidents," defence department spokesman Geoff Morrell said on Wednesday. Possible measures include posting lookouts and investing in methods to keep pirates from boarding, he said. Morrell added that the US diplomats are working at the UN to win renewal of a UN Security Council resolution, due to expire on 2 December, that authorizes counter-piracy operations within the territorial waters of Somalia. The seizure of an oil tanker could also convince countries in the region to send their own forces, says Tudor Ellis, maritime security expert at Drum Cussac, a London-based risk advisory company. “Taking an Arab ship could turn against the pirates," Ellis said over the phone. “Yemen has been trying to get anti-piracy naval help from the Egyptians and Saudis, so far without much success. That could now change. We could see the Arab states get up and running." Al-Faisal, speaking in Athens, compared piracy to terrorism, saying it is “a disease that is afflicting the world." He didn’t elaborate on any military measures the Saudis might take. Egyptian cabinet spokesman Magdy Rady declined to comment. About 20,000 ships use the Gulf of Aden every year on their way to the Suez Canal, which is Egypt’s third largest foreign currency earner after tourism and remittances from Egyptian workers abroad. Since January, at least 91 vessels have been attacked in the Gulf of Aden, an area of 2.6 million sq. km flanked by Yemen and Somalia. The Indian Navy’s INS Tabar frigate, which arrived in the area on 2 November, destroyed a pirate vessel in the Gulf of Aden on 18 November, the government in New Delhi said on Wednesday.